CHINAPLAS has firmly staked its claim as one of the world’s leading plastics and rubber trade fairs. This technology-oriented exhibition provides a platform for global and regional companies to showcase their latest products and services, to include materials, machinery, and smart and green technologies. Positioned as an “all-round solution provider”, CHINAPLAS 2019 expects to host more than 3,400 global exhibitors, covering 250,000 square meters of exhibition area, with some 180,000 visitors attending from over 150 countries. Don’t miss this opportunity to transform and upgrade your technology, while gathering the latest intelligence to help you adopt more sustainable development practices. 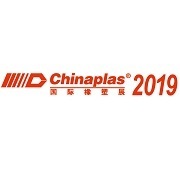 CHINAPLAS will take place on May 21-24, 2019 in Guangzhou, PR China. For more information and pre-registration, please visit www.ChinaplasOnline.com.